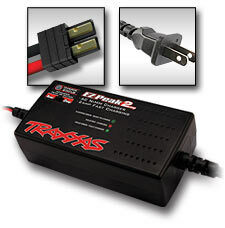 Traxxas EZ-Peak 2-amp Charger is an advanced, multi-current smart charger optimized for Traxxas® 6V-9.6V (5-8 cell) NiMH battery packs. The charger utilizes a proprietary 4-stage charging cycle to maximize both battery life and capacity. Includes a selectable 1 or 2-amp charge rate. The charger automatically determines the correct charging voltage. 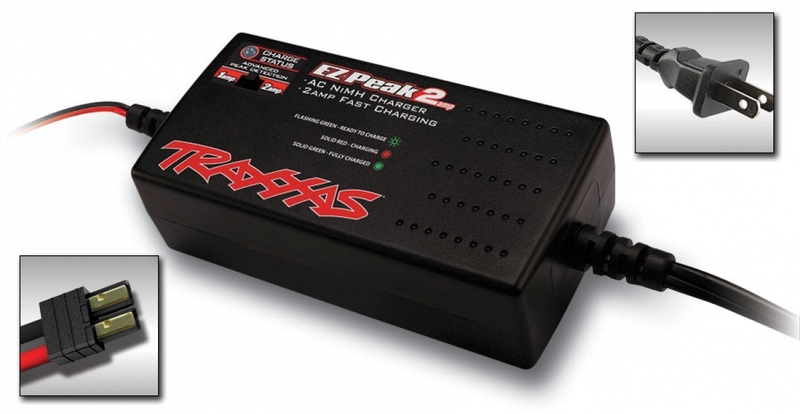 The EZ-Peak 2-amp charger features reverse-polarity protection, an automatic shutoff feature, and auto trickle charging. Fast Charges the Series-1 battery packs for your Traxxas 1/16 models in about 35 minutes! No complicated menus or setups, just plug it in and start charging! Advanced peak detection circuitry delivers a full charge every time with no guesswork.